Madirazza is a winery on Peljesac, a peninsula north of Dubrovnik. It is one of the most famous wine regions of Croatia, where both white and red wines are produced. The wines of this winery include Dingač, the most famous Croatian red wine in the world. This wine is made from the Plavac Mali grapes growing on a particular geographic location. Dingač is the first protected Croatian wine region. 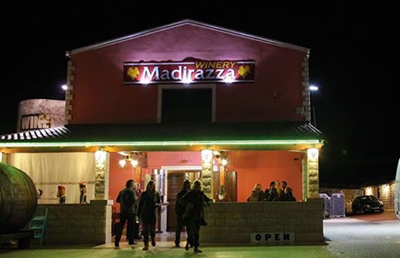 In addition, Madirazza produces also white wines from grapes grown on the island of Korcula which is next to the Peljesac peninsula.